Participants at our event exploring different platformization scenarios. Platforms are a hot topic and for good reason. The digital “platformization” of markets is one of the defining forces of change in the shift to digital economies. Facebook and Google have leveraged network effects in social media and search to grow massive multi-sided markets in attention and advertising. Innovators such as Upwork, Uber and Kuhustle are revolutionizing the world of work. Amazon, Alibaba and Jumia are fundamentally changing how merchants sell to customers. These platforms are not only transforming online experiences but have real-world implications for users and the markets in which they work. Platformization presents both new possibilities and new challenges for financial and economic inclusion in Africa and we had a chance to talk about this in new ways with a mix of dynamic startups and larger institutions active in the space. 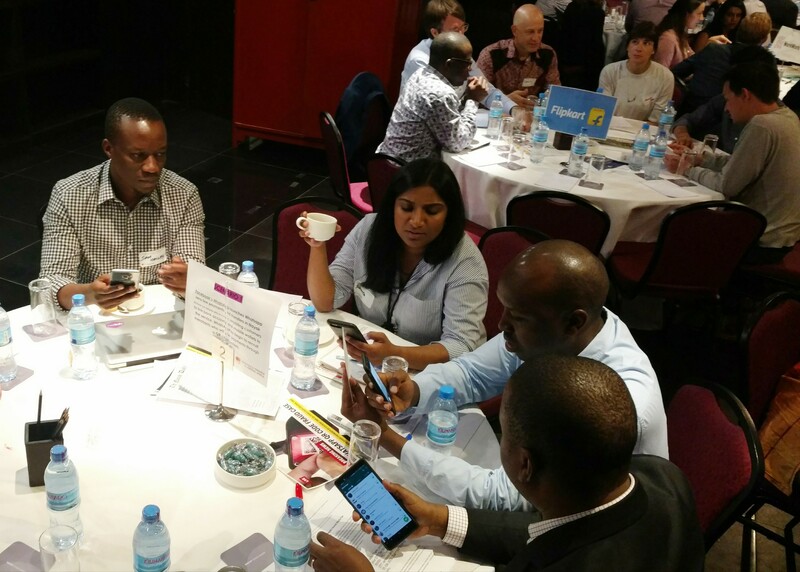 In early October, we organized an event alongside the IFC conference held in Dar es Salaam, Tanzania, where we invited leading representatives from MNOs, fintechs, and banks to explore the business strategy and financial inclusion implications of platformization. While some platforms bask in user bases in the millions and billions, astronomical transaction velocity, and stickiness so effective that people have to consciously tear themselves away from the screen, most African financial service providers struggle with low customer uptake, thin usage, and a dearth of digital data. There is no doubt, then, that certain platforms can dramatically change the landscape for traditional financial institutions, presenting new opportunities for collaboration and competition. Likewise, some platforms will also likely need to make a shift towards thinking more about financial inclusion, because of their pivotal role in the digital economies of the global south and because their success relies on the ability of users to seamlessly transact. In truth, platforms and financial services providers in this digital community probably need each other and this became a theme of discussion among participants at our event. 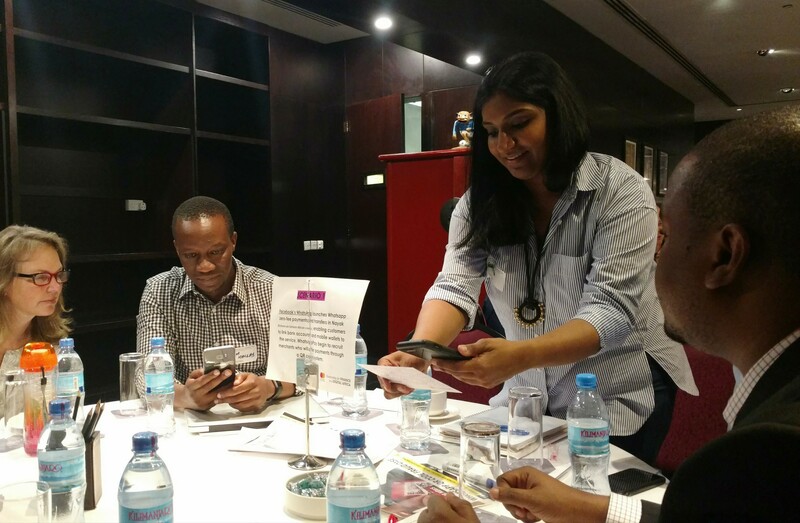 Representatives from JumiaPay, JD Finance, Mastercard Foundation, Uber, and the World Bank, among others, participated and helped shape the group’s understanding of platformization. The event was interactive at its core – an important element to stimulate the kinds of discussion needed to more wholly understand the opportunities and challenges platformization presents. We first introduced the FiDA Partnership Lens for Platformization – a framework to move forward through the sometimes confusing landscape of platformization. 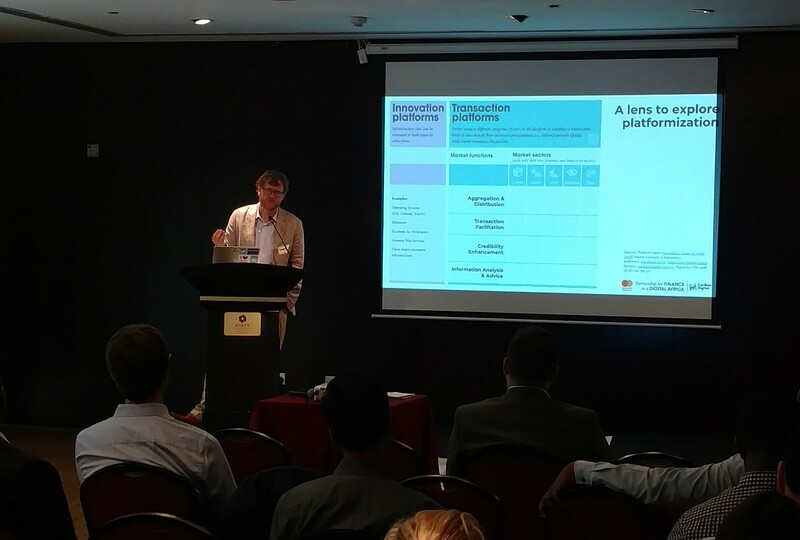 Jonathan Donner introducing the FiDA Partnership Lens for Platformization. We then introduced the participants to six fictional scenarios that they, in groups, would have to navigate – wearing the hat of MNO, bank, or fintech. These scenarios – while fictional – we think are possible. 1. Facebook’s WhatsApp launches Whatsapp zero-fee payments and transfers in sub-Saharan Africa, enabling customers to link bank accounts and mobile wallets to the service. Whatsapp begin to recruit merchants who will offer payments through a QR code system. 2. Indonesia’s motorcycle delivery service Go-Jek enters Kenya offering a wide range of services from transportation and courier services, to mobile payments and food delivery. 3. Walmart takes Flipkart (the Indian e-commerce platform in which it owns a 77% share) to Africa. In a bid to ensure prices remain competitive, it introduces low-price private label products which put pricing pressure on small merchant businesses. 4. Three local labour platforms – similar to Dumaworks, Taskit, Kuhustle and Lynk – consolidate to overcome fragmentation in the labour market. The new, consolidated platform, called WorkWork, begins to develop other product offerings to enhance revenues, by partnering with several banks and fintechs. 5. WeChat pens a deal with OEM, Transsion (manufacturer of Itel, Tecno, and Infinix), enabling WeChat and WeChat Pay to be enabled on any Android device in five influential African countries. 6. Regulation requires online platforms and marketplaces to obtain banking licenses, or partner with banks / insurance providers, etc. in their quest to enter the lending, insurance and wealth management space. Jack Ma, co-founder and executive chairman of Alibaba Group visits Kenya, Nigeria and Rwanda in search of potential partnerships. Each scenario above had a series of events that played out as participants thoughtfully moved through business strategy during the first session, and how they moved through financial inclusion implications in the second session, guided by a facilitator. These events impacted the way each representative responded to the others in the group and brought a level of real-worldness to the scenarios which was appreciated by participants. One conclusion that came out of these conversations, noted by Sid Garg, founder of fintech startup Teller, was the realization that while platforms present an opportunity, it doesn’t mean that players can ignore local market context. For many, this event highlighted that platformization is already underway with WeChat and WhatsApp, and could see these scenarios play out in the next six months. The prospect of WhatsApp turning on payments in several countries in Africa, or even all of them, isn’t far fetched and could have great impact on the business models of incumbents in the space, therefore potentially impacting financial inclusion. How companies adapt their strategies to platformization will likely be key to their ability to thrive in the shift to a digital economy. Over the next few months FiDA Partnership will conduct research to critically assess platforms’ prospects for delivering financial services and furthering the economic activity of underserved individuals, small businesses, and developing economies. We will explore how platformization is affecting partnerships with bearing for financial inclusion and impacting the livelihoods of micro and small enterprises. We have shared our analytical framework and have started the conversation considering these themes with key players in the spirit of collaborative exploration. We’re thankful to those who participated in our event last month, and we thank you for being a part of this discussion as we move forward. Stay tuned to our blog for further updates on our platform research and please reach out with any comments or questions. This is a conversation that should involve all of us, and we look forward to hearing your input.